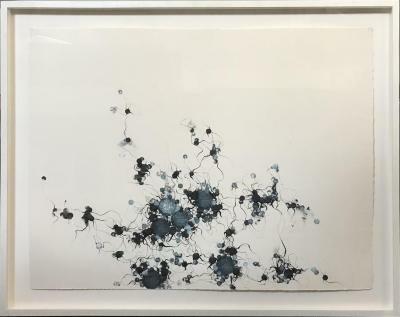 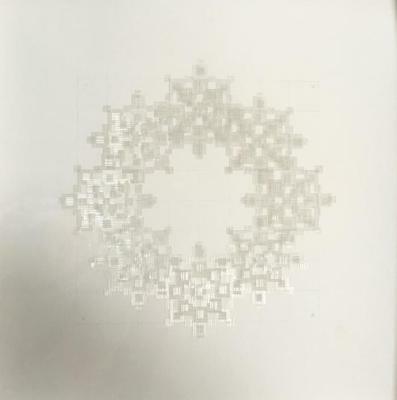 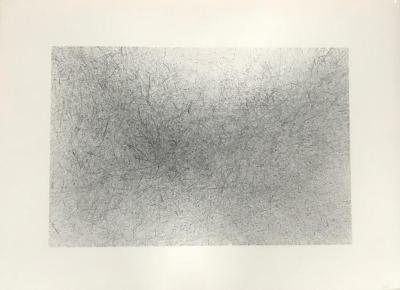 Phillip Chen, Acoustic Shadow, Etching, 31 in X 23 in, 2002. 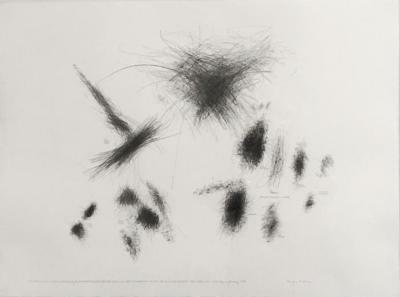 Morgan O’Hara, Live Transmission: Movement of the Hands of the Anthony Braxton Quartet performing Ghost Trance Music, No.200 / The Knitting Factory / New York City / Saturday, 11 January 1997, Graphite on paper, 22 in X 30 in, 1997. 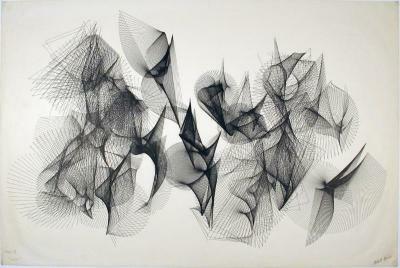 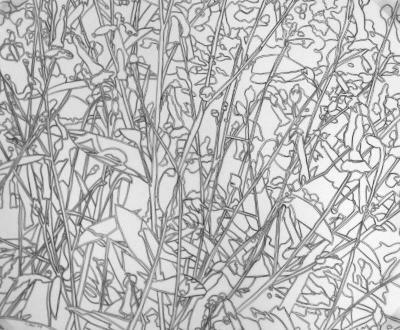 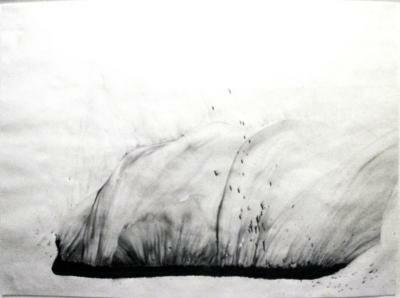 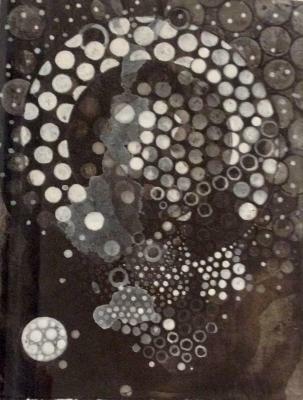 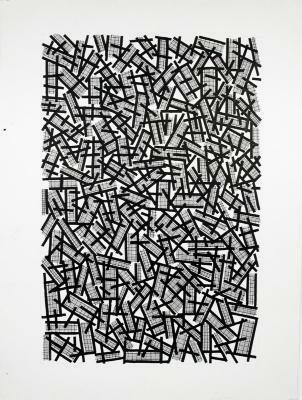 Gelah Penn, Splink #11, Graphite and acrylic on paper, 20 in X 26.5 in, 2004.